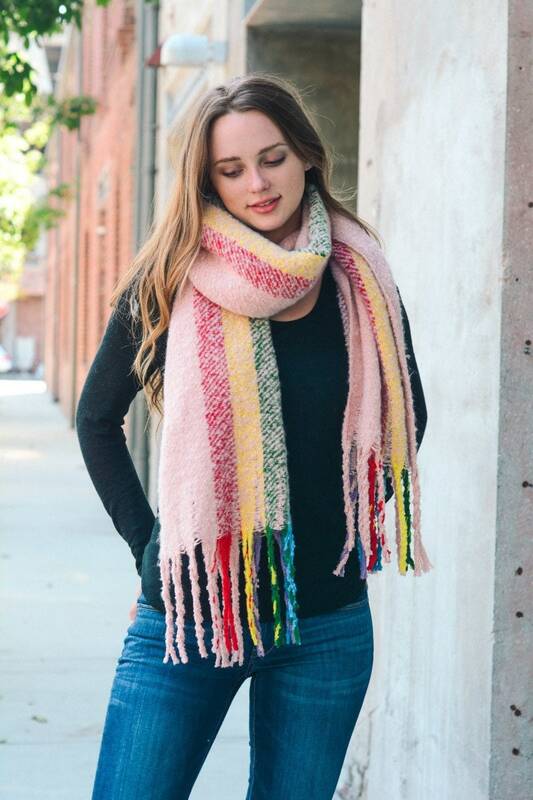 This is a SUPER soft rainbow oversized oblong scarf with a tan and white houndstooth backing and the patch reads God's promises are true. Beautiful scarf! Exactly as pictured, fast shipping! Will buy from seller again. Thank you! This is my 2nd cardigan to purchase from Michelle. It’s cute and comfortable. Great colors and easy to wear. Paired well with jeans and booties. I purchased this as a gift and my friend loved it. Thank you so much! Fast shipping too. Payment is accept by credit card and/or through Paypal. I want you to be happy with your purchase. Please contact me if there is an issue with an item you purchased. All items are sent through the USPS flat rate priority.